It was the spring of this year that we sent Robert Clark and his family as missionaries to the Philippines. They settled into Manila and are finding increasing ministry opportunities there. In the fall of this year, we launched a Filipino RMG, in recognition of the many Filipino’s around our valley and in our church. Dojo Aguilar leads this ministry. That being said, we’d ask you to pray particularly for the Philippines as they are being hard hit by a Super Typhoon yesterday and today. It’s said to be one of the strongest storms in recorded history. The south part of the Philippines is being hit incredibly hard (and this is where Dojo’s family lives). 25 million people are in the path of this typhoon. Its strength is equivalent to a Category 5 hurricane. Wind gusts will exceed 225mph. Communication is already down in many parts. Roads are impassable. Buildings are flooded. Landslides are expected. Deaths are already being reported. So what can we do? For now, we can pray. 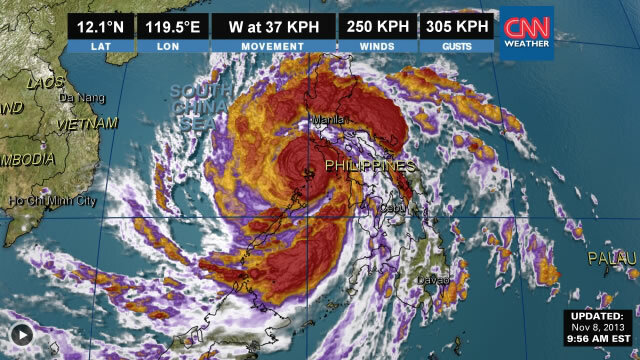 Pray that the sicknesses, injuries and death resulting from this storm would be much smaller than what is expected. Pray for those made homeless that they would find shelter and food. Pray for the churches and believers there that they would sacrificially love and care for those displaced by the typhoon. Pray that the Christians’ actions of love would be followed by words of love that tell people explicitly about the God who loves them and died so that they might be reconciled to Him thru Christ. 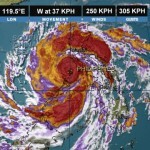 Pray that the churches in the Philippines would outshine the secular agencies in their disaster relief work. Pray that believers around the world would donate funds towards what will surely be a huge aid and recovery effort, and that they would make those choices with thought, prayer and wisdom as to which relief works are most God-centered and Christ-proclaiming.